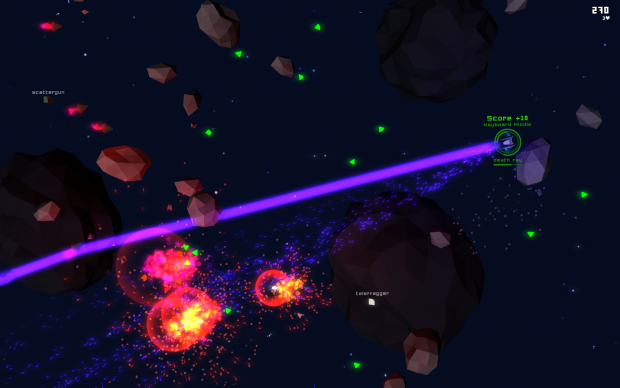 Hyper Ultra Astronautics is an intense local multiplayer space arena shoot'em up with co-op and competitive game modes for 1-16 players. 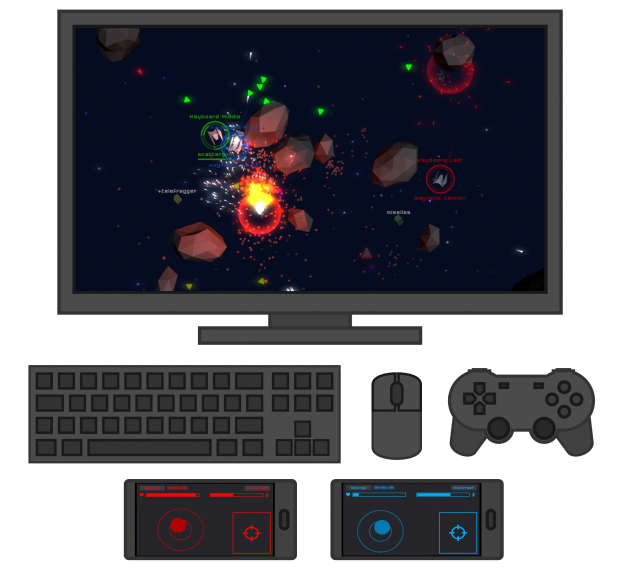 Run the game on almost any Windows or Linux PC, ideally connected to a big screen. Play using keyboard, mouse, gamepads or join the match using your mobile phone as controller. Competitive and co-op game modes for intense party/couch gameplay. Semi-realistic ship movement based on simulated thrusters. Wide selection of unique weapons. Players can drop in and out of the action as they please. Online high scores for solo/co-op survival game mode. The game development is currently in public beta phase with all major features implemented and only a few known non-critical bugs. 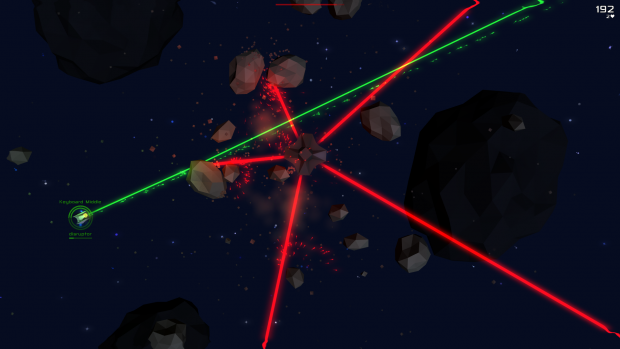 Right now I need more testers so that I can find and fix any remaining bugs! Please, try the game and let me know what you think!